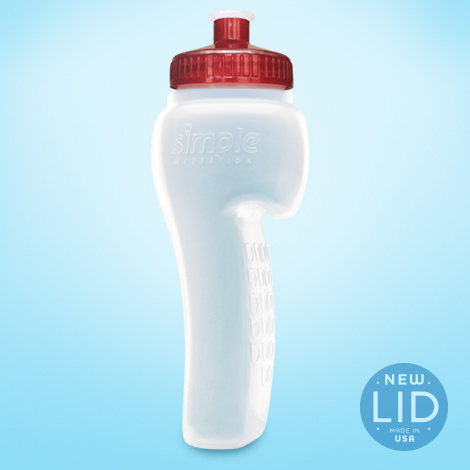 This Simple Hydration Bottle features the same great look with an updated new translucent red lid. 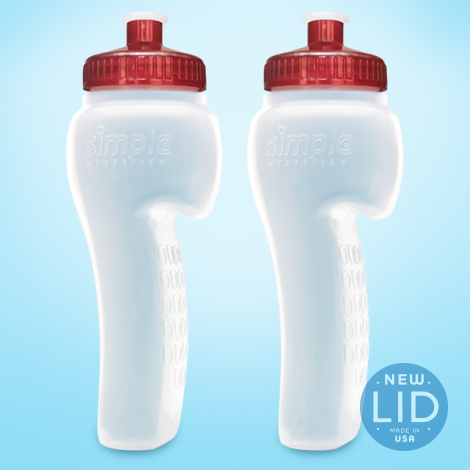 Add a red hot look to your bottle while staying cool and hydrated on your runs. 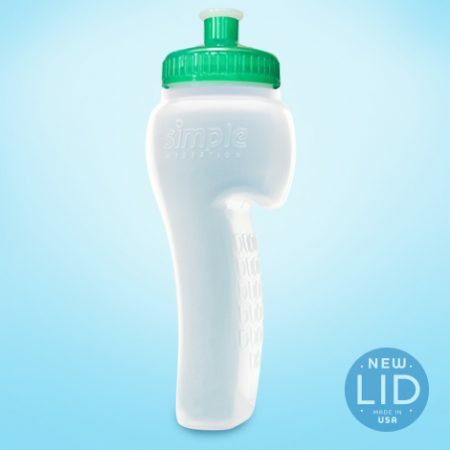 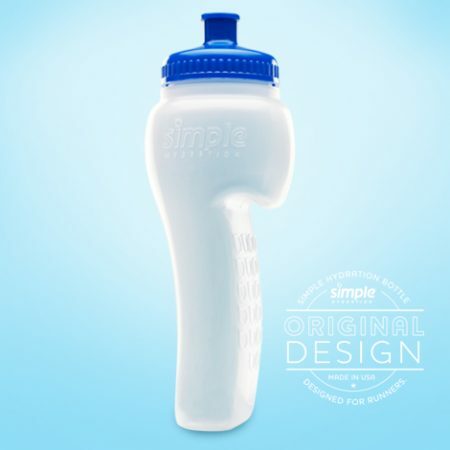 Our innovative hook-shaped bottle allows runners or active individuals to simply hydrate on the go. The bottle slides into a waistband, race belt, pocket or in the top back of a sports bra for women.